This is a very interesting experiment and a great exploration into Charles’ Law (namely that gasses expand as they get warmer) and foams (when a gas is incorporated into a liquid or a solid). 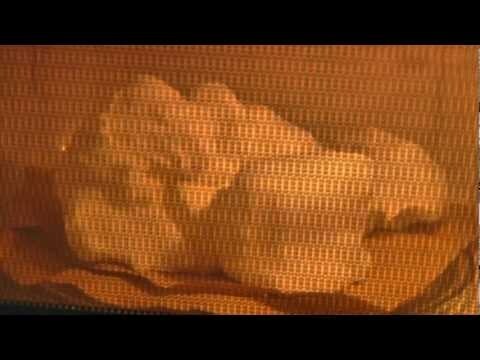 We use a microwave oven (not a the cheapest of scientific tools) and microwave a bar of Ivory Soap (watch the video to find out why) for 2 minutes. Seems simple and looks cool. But, the computer lacks SMELL-O-VISION. Imagine your entire kitchen being filled with the smell of Ivory soap, but amp the intensity to about 100 times what you would get in a shower or bath. In other words, even lovely soapy smells are AWFUL when they get this pungent. So, please do watch and enjoy the video, learn a little science, but leave this microwave experiment to us.